In the parental press box, I had become a dinosaur. For years, while others videoed their children using a device barely bigger than their palm, I scouted my surroundings for a power outlet to plug in my comparatively enormous camcorder. 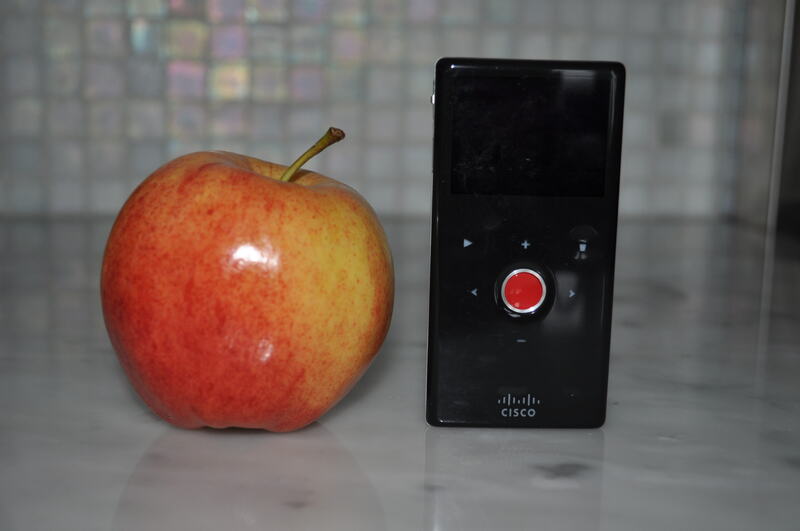 Good things come in small packages, many will be heartened to hear, in the world of video cameras. I’m excited. My heart is beating a little bit fast, even though I am sitting here on my tush typing away on my computer. I have truly taken a giant step forward into the twenty-first century of technology. 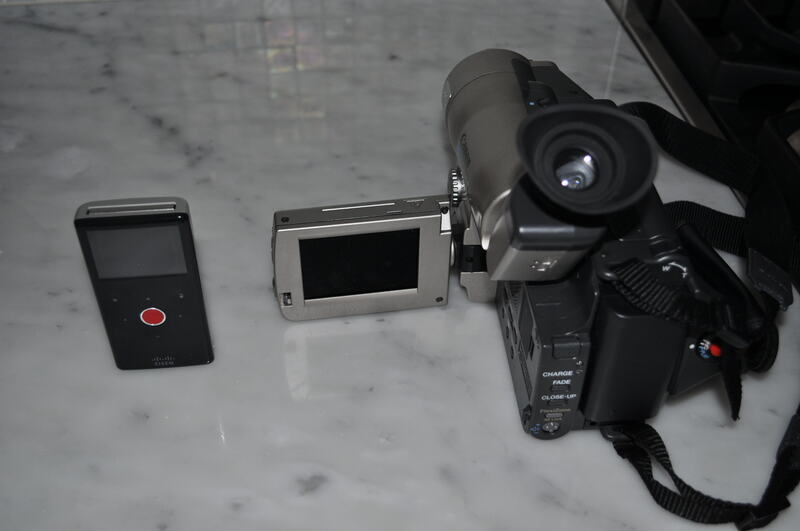 I bought a Flip video camera. I realize these have been around for years, but they are new to me. 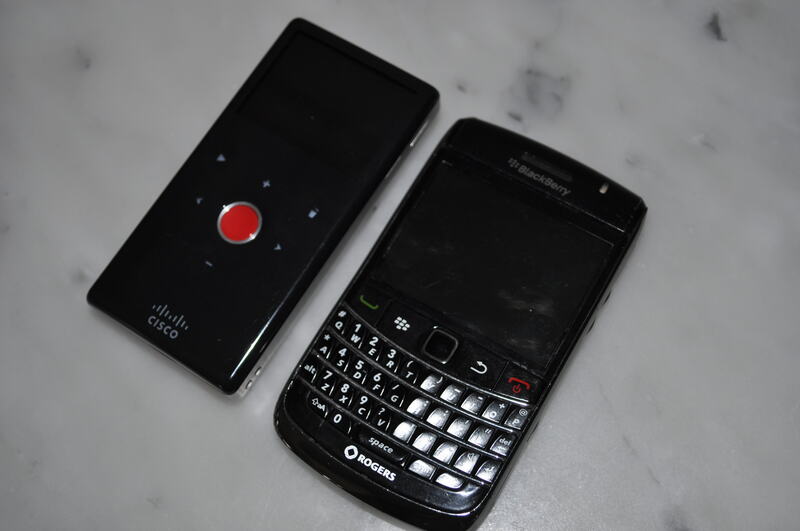 I guess I have been so overloaded by the frenzy of Apple products, that I have overlooked this tiny video camera that is smaller and lighter than my Blackberry. It fits in my back pocket better than my Blackberry, go figure. It really is a crime that I have three kids who can be incredibly delightful at times, and yet an extremely outdated and limited capacity to capture their essence on video. Our former beast of a camera was one that required it to be hoisted on one’s shoulder, and would film for approximately five minutes before the battery lost power. Furthermore, it would record onto these tiny cassettes that are unplayable anywhere in the world but on your actual video camera. As I charged our old behemoth in preparation for my daughter’s gymnastic competition, she begged me to not bring it. It was too embarrassing for her. Normally I would chide her for this, but this time I was relieved. It had crossed even my higher threshold for embarrassment. I gladly left it behind. At the competition, a mother beside me pulled out what I thought was a tiny camera, but in fact was the Flip video camera. I immediately realized that all this time I had been mistaking this much heralded video camera for a still camera, since that’s what it looks like. And the Flip doesn’t actually flip. Maybe it did at one time in its life, but the latest models don’t require opening. They are ready to capture what’s happening in front of you, just push the red button. The biggest advantage to the Flip is there are no tapes, cassettes, cords, or strings attached. You simply press a button and the USB connector flips out (ah, is that the namesake?) and you connect it to your computer to both download your videos and recharge your camera. So this is why YouTube has become so accessible. If I sound like an advertisement, apologies, I wish Flip was paying me to write this but sadly they are not -I bought it for $150 at Target. I’m just excited that I can capture little moments in my kids lives without looking like I’m filming a segment for the evening news. Where have I been all its life? Congratulations on your discovery! I took a group of students to India last May to do a service learning project that required us to use flip cameras–my introduction to them. They are amazing. Now, will you donate the larger camera to the Smithsonian? My daughter won one of those…she loves it! She uses it to do videos of my granddaughter. I did LAUGH OUT LOUD when I saw the eye lens on your big old camera. Congrats on your new purchase.